For a large percentage of the American population, the World Cup is the only international soccer tournament that garners the attention of the masses. But there is a massive regional tournament getting ready to take place: the CONCACAF Gold Cup. And for what it’s worth, it is a tournament filled with rivalry match after rivalry match, so tension is ratcheted up as the tournament progresses. So, what is the CONCACAF Gold Cup? The Confederation of North, Central American and Caribbean Association Football, way easier to just say CONCACAF, holds the Gold Cup tournament every two years. The USA won the last Gold Cup in 2013. The tournament runs from July 7-26, and a couple of games are being played in our own backyard here in North Texas. Toyota Stadium, home of FC Dallas, will kick off the tournament today with Panama vs. Haiti, followed by USA vs. Honduras. The tournament favorite is Costa Rica. They boast the highest FIFA world ranking of any nation in the tournament at 14th. No other nation is in the top 20. From the last rankings, Mexico has dropped one place to hold the 23rd spot, and USA moved up one spot to 27th in the world. Tune in to our live pregame coverage from Toyota Stadium from 3:00-7:00pm Central, as Jamie Kelly, Steve Davis, and a host of fantastic guests get you ready for the USA-Honduras match! Just search for KTSR on TuneIn, or click here. Matt Molina is a Contributor at The Scoop. Follow him on Twitter at @MattMMolina. The Lightning has what are perhaps the top two lines in the league. Steven Stamkos, Valtteri Filppula, and Alex Killorn are their first line. Midway through the conference finals series against New York, Stamkos finally found his playoff goal-scoring touch, and that line is dangerous every shift. The “Triplets” line of Tyler Johnson, Nikita Kucherov and Ondrej Palat are a nightmare for the opposing coach to match up his defensive unit. Johnson leads the league in playoff scoring with 12 goals, 9 assists and a +6 rating. The Lightning also have former Dallas Stars captain Brendan Morrow. Although he may be a role player, only getting 6-8 minutes a game, he can play his physical brand of hockey without taking the amount of punishment he took when he was in Dallas. Morrow is their veteran locker room presence and the oldest player on the roster by 5 years. As great as the top two lines are for Tampa Bay, the Blackhawk group has two lines to match them, and then two more to throw at the Lightning. The ability to run 4 lines throughout an entire game can wear on a defense. Maybe not the first or second game, but the end of the series could have the Tampa Bay will to win tested. The last series against New York gave me the confidence to say that the pairing of Victor Hedman and Anton Stralman are one of, if not the best set of blueliners in the league. They can shut down the opposing top line and then dare the other three lines to beat them. If Tampa Bay has a fault, it is waiting to see if the bottom end of the defense can match the play of Stralman and Hedman. If not, they may be a liability. If Hedman and Stralman aren’t the top defensive pair in the league, then Chicago has them with Duncan Keith and Brent Seabrook. Keith is second in the playoffs in minutes played per game, with 31:35. Niklas Hjarlmarsson is on the second unit, and has the ability to be a top defenseman in the league for years to come. The third pair of David Rundblad and Kyle Cumiskey could be where Tampa Bay tries to strike. 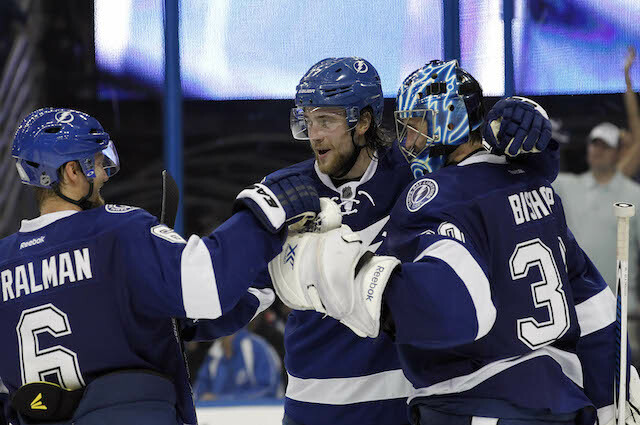 If they can play well as a pair, goals will be hard to come by for the Lightning. This is due to the experience of wins and knowing what it takes to make the final push to be the first team to 16 wins in the playoffs. Ben Bishop is coming up large when Tampa Bay needs him. Bishop may have had a bad game 6 against New York, giving up 7 goals that night, but he was perfect in game 7, where he was a 2-0 winner. Bishop has posted a 12-8 record with a 2.15 goals against and a save percentage of .920. He is the first goalie in history to send his team to the Stanley Cup Final with a road shutout in game 7 and the first to have two shutouts in his first two game 7s of his career. 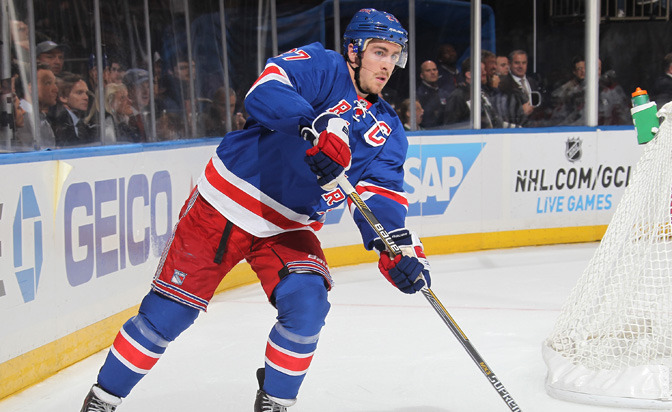 But as the game 6 outing against the Rangers showed, he can be prone to giving up goals in bunches. Corey Crawford…the first thing I think of is experience. He had a shaky start to the playoffs, but once he finished off Nashville in round one, he has been solid. Crawford has put up a 9-5 record during the playoffs with a 2.56 GAA and a save percentage of .919. 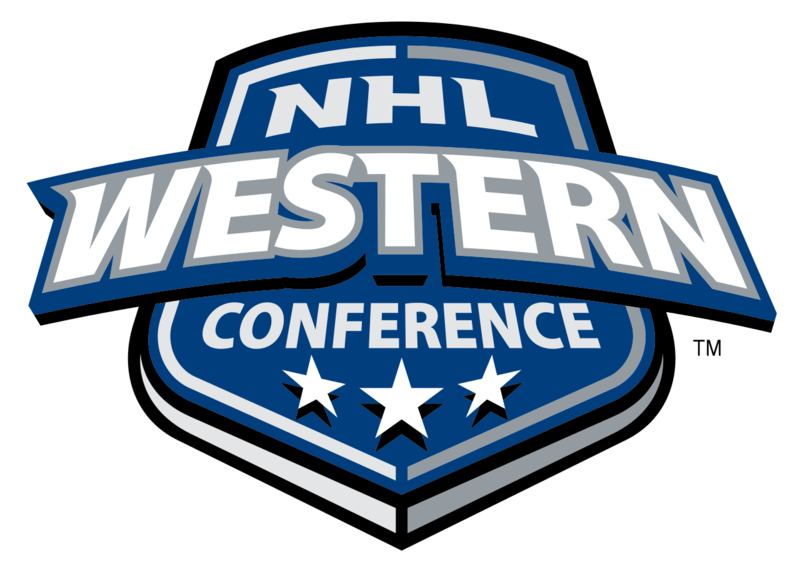 Crawford beat a great young goalie in the Western Conference Finals and should use that to fuel his play in the final round. Even though I may see Chicago as having an advantage in the three areas of focus, it is by the slimmest of margins. This series should give us what all hockey fans want at this time of year: a seven game series with a few overtime games sprinkled in. In the end, I feel Chicago wins this in 7 games. 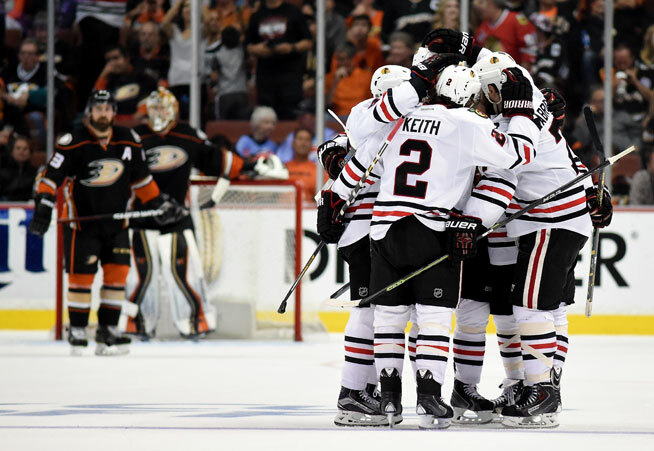 Season series: Chicago won two of the three games this season, outscoring Anaheim by a total of 8-3. One word comes to mind when I think of the Chicago Blackhawks forwards: Deep. They can roll four lines and use their forecheck to wear down the opposing defense. 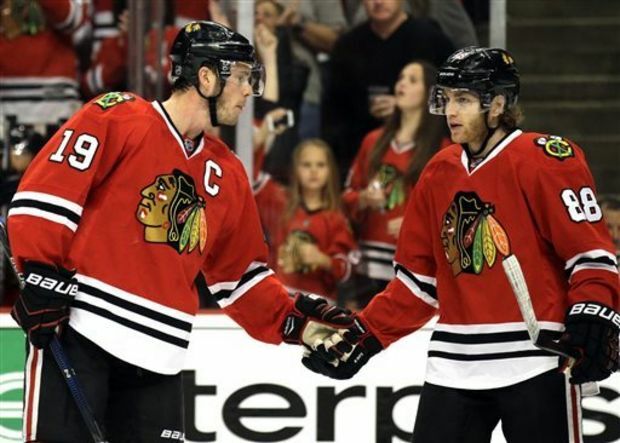 It all starts with Patrick Kane and Jonathan Toews. They are easily a top five offensive duo in the league today. Marian Hossa seems to have the puck find him in the playoffs, and Patrick Sharp is one of those players who can turn it up a notch when May rolls around. Add in rookie Teuvo Teravainen with his high skill set, and these forwards will give the Anaheim defense all they can handle. They are large and very talented. 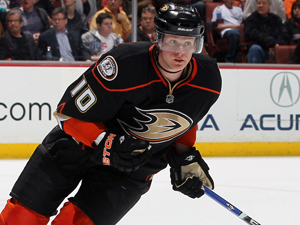 Corey Perry, highly skilled and who some may call the best agitator in the game, will be a focal point for the Chicago defense. Ryan Getzlaf is a pure playmaker; his vision and ability to hold the puck and draw defenders to him are amazing. By garnering the attention of defenders, it opens up his line mates. Bringing Ryan Kesler into their forward group was a wonderful addition. Kesler gives Anaheim depth at center and makes the opposing defense have to worry about a second scoring line. 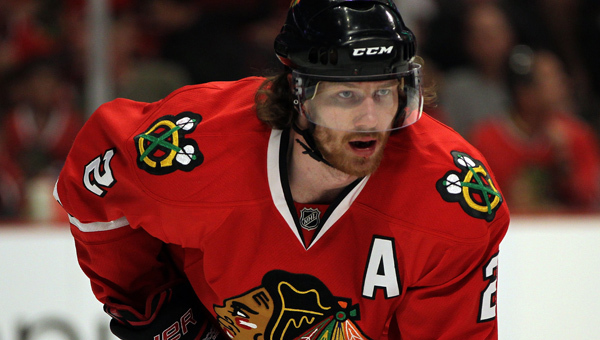 Duncan Keith and Brent Seabrook are perhaps the most dependable blue line pair in the league. The loss of injured Michal Rozsival will be an obstacle to overcome, but they have eager players who are ready to step up to fill the void. David Rundblad and Niklas Hjalmarsson will be relied upon heavily to move the puck out of the defensive zone and start the rush on transition. To say the Ducks defense is stingy would be underselling them. They aren’t fancy by any means, but they get the job done. They aren’t considered a shot-blocking squad, but they find a way to keep teams from even thinking about taking shots. 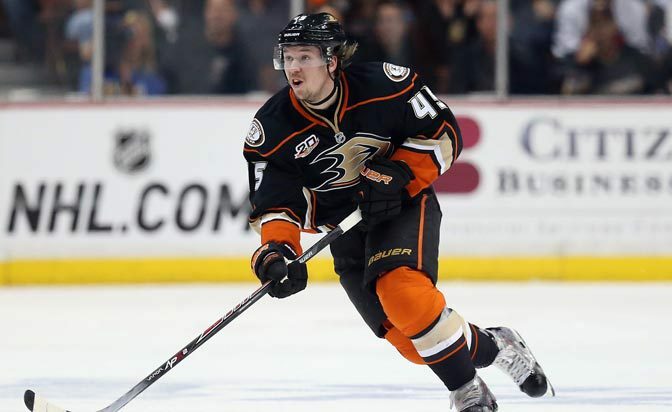 They exit the defensive zone quickly due to their mobile defenders: Sami Vatanen, Cam Fowler and Hampus Lindholm. The way they carry the puck and can be thought of as extra forwards reminds me of how Paul Coffey and Sergei Zubov would command attention. 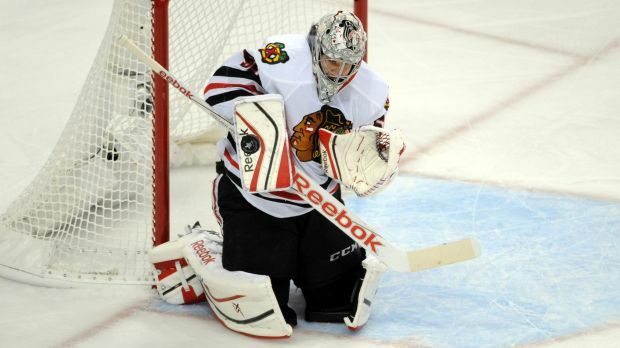 Corey Crawford finally regained the starting spot, and he was superb against Minnesota with a .947 save percentage. Crawford won the Stanley Cup in 2013, and it appears that he is back in that form. Good for Chicago, not so much for Anaheim. This is Frederik Andersen’s playoffs. After going back and forth last postseason, he has made a statement this year, going 8-1 with a goals against average of 1.96. He rarely falls victim of the soft goal, and directs rebounds away from the middle of the ice. 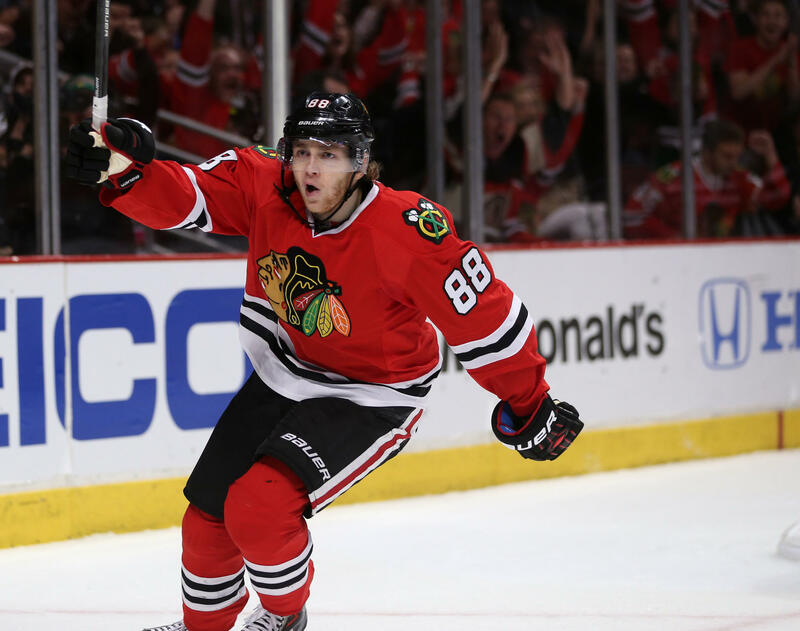 The experience of Crawford and the core of Chicago‘s roster should give them an edge in what shapes up as a fantastic Western Conference Finals. 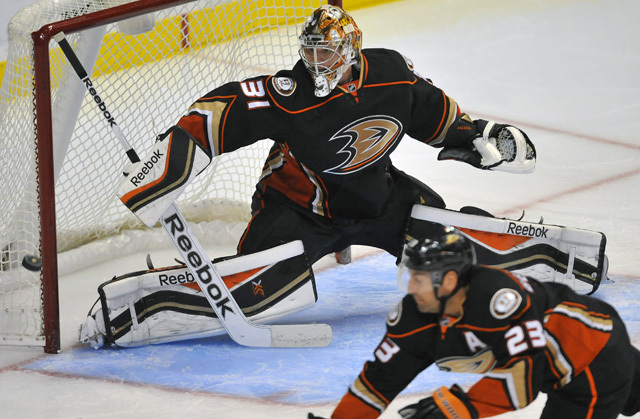 Andersen will end up with a Cup or two, but not this season. He will use this series to build on what should be a stellar career. 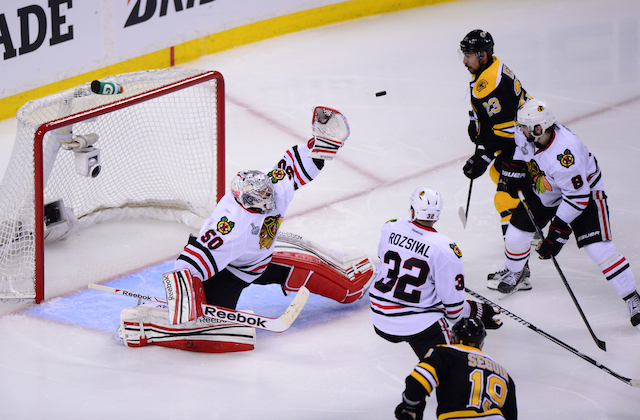 The Blackhawks win a thriller in seven games…and Game 7 might just creep into double overtime. Tyler Johnson, Ondrej Palat and koNikita Kucherov are a ridiculously good line, and will be tough for the opposing defense to handle. They are highly skilled and very fast. 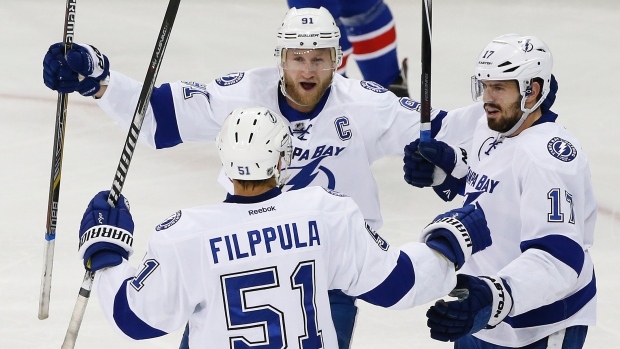 They have to be great in order to push Steven Stamkos to the back burner. Stamkos has struggled to score goals in these playoffs (3 goals in 13 games), but he can still be a force if he gets hot. 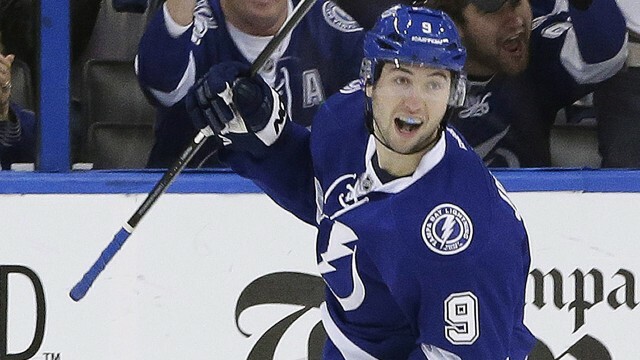 As for Ryan Callahan, it will be interesting to see how he plays coming off of appendectomy surgery. I’m sure he will be full of adrenaline facing his former team. I’m not a big fan of the New York forwards. There isn’t any one player to dial in on for a big goal, but they somehow seem to get the goal when it’s needed. 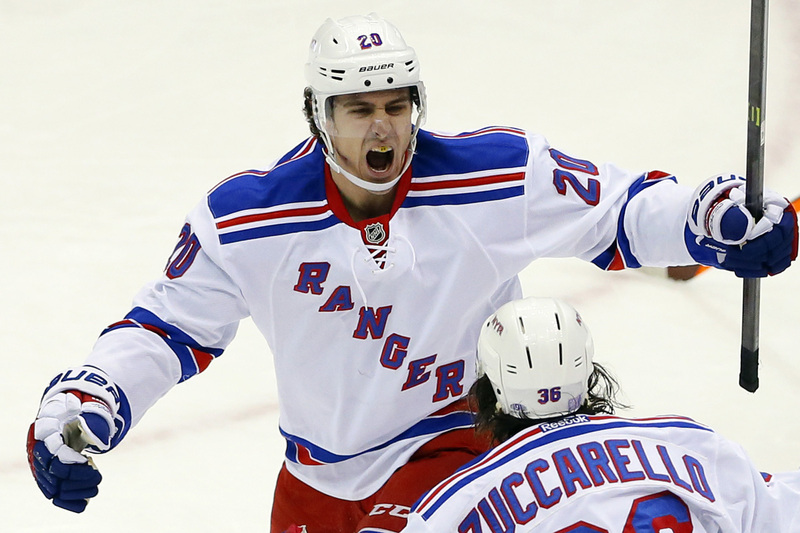 Chris Kreider and Derick Brassard lead New York with five goals apiece. Rick Nash is once again missing in the playoffs; he has two goals during this playoff run. After a 42 goal regular season, it seemed he was poised for a breakout postseason. 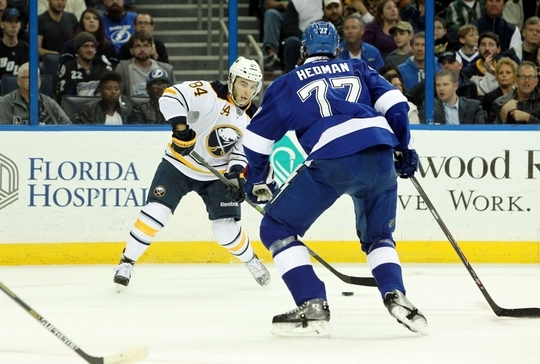 Victor Hedman is the puck-moving defenseman that every coach wants. He is fast and has wonderful skill with the puck, the proverbial quarterback on the blueline. Anton Stralman is a defenseman’s defenseman. He may only be 5’11”, but he plays bigger than that. I’m sure the Rangers wish this series could be played in three weeks. They are in a physical disarray with Dan Boyle getting demolished by Brooks Orpik in game 7 and the beating Ryan McDonagh was issued. They will have to rely on the 6 defenders to play as a unit, and use the home games to match up against the Lightning forwards. New York was third in the league with giving up only 2.34 goals per game during the regular season while having the best goal differential at +60. Ben Bishop has done well in his first playoff run. He hasn’t been stellar, but good enough to win. He is 6’7″, so he takes up a large amount of the net. When he is focused, his angles are covered and doesn’t let in the team-deflating soft goal. 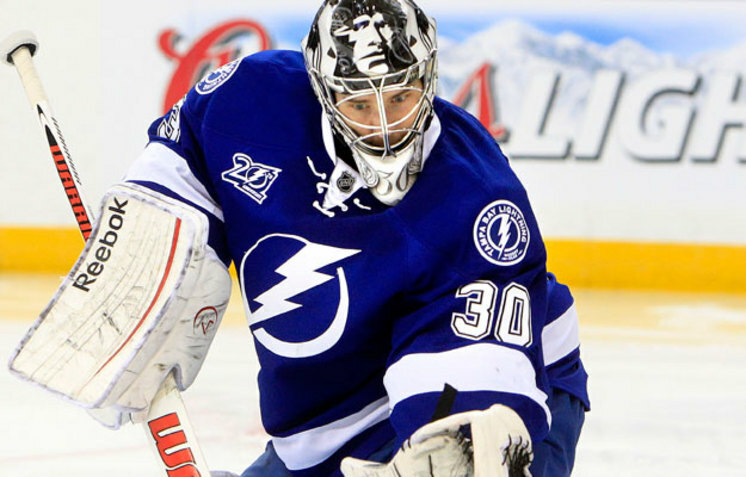 If he can be solid in the pipes and give Tampa Bay a chance to win, then he will have done his job. Henrik Lundqvist. Enough said. He has been superb in these playoffs. He boasts a 1.60 goals against average and a save percentage of .944. He allowed only five goals on 110 shots in the last three games, all wins in elimination games, against Washington. With the game 7 win against the Capitals, he tied Patrick Roy and Martin Brodeur with six career game 7 wins. Given the fact that New York has played in 14 straight one-goal playoff games, there isn’t anyone better that New York could chose to be minding their net. I feel that Tampa Bay wins the series in six games. 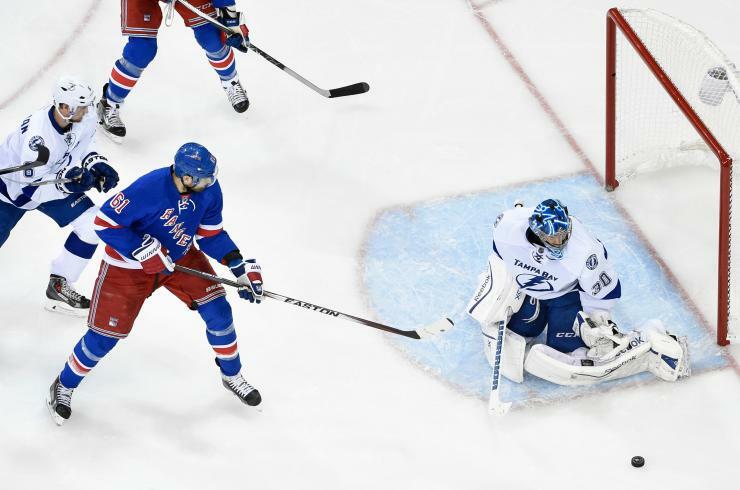 The Lightning offense should be able to overpower a beleaguered Rangers defensive group. Matt Molina is a Sports Contributor at The Scoop. Follow him on Twitter at @MattMMolina.